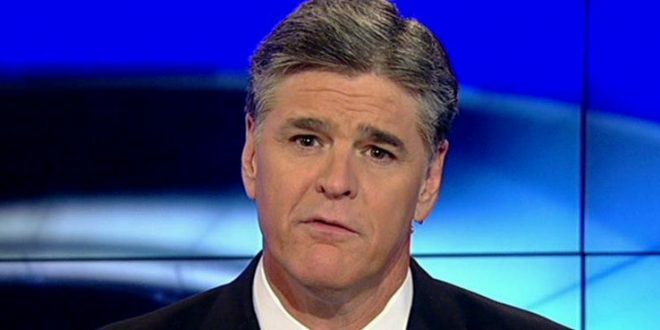 Hannity Blasts NYT Report As Democratic "Slander" - Joe.My.God. “This just went up in red on The Drudge Report. ‘Trump gained millions from questionable tax strategies according to The New York Times.’ I guess they’re getting off – I guess maybe they think they’re losing the vote on Judge Kavanaugh so ‘president Trump participated in questionable tax strategies in the 1990’s that allowed him to accrue millions of dollars in additional wealth from his father’s real estate empire’ according to The New York Times. “OK, the IRS has been investigating him, I guess, for most of his adult life. Big shock there. But this is what’s at stake. Do you want to go back, because this is the endless investigation, and do you want to reward the party of slander and bludgeoning. Because that’s the Democratic Party. “You know, think of this – five weeks from tonight you’re going to tune in to the news, midterms, big election night, big coverage, all the networks. You have the opportunity to shock the world again.” – Sean Hannity, on this afternoon’s SiriusXM show.